The Society acknowledged “a large share” of the credit belonged to the Wisconsin State Federation of Women’s Clubs (many of whose leaders were members of the Wisconsin Historical Society), and reported it had “throughout gladly co-operated with the women in this excellent work.” And yet, after visiting nearly 3,500 Wisconsin historical markers and sites, this author has located only a few dozen tributes to females – less than 1% are dedicated exclusively to a Wisconsin woman! Laura Ingalls Wilder wrote the “Little House” books. She was born in a log cabin seven miles northwest of Pepin. A State marker records her “lasting contributions to children’s literature”. 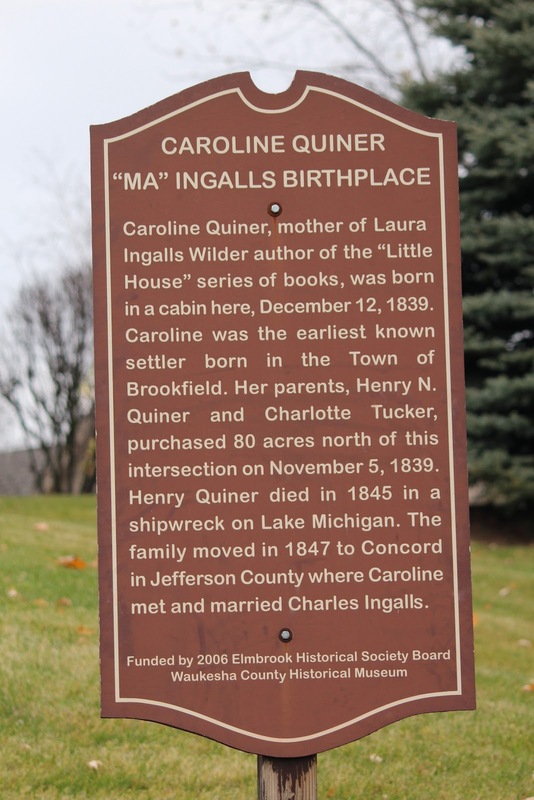 A Waukesha County Historical Society marker is at the birthplace of Caroline Quiner “Ma” Ingalls, Laura’s mother. Golda Meir, former Prime Minister of Israel, is honored twice – with a State marker at the UW-Milwaukee library named for her, and a privately-funded marker at the Milwaukee elementary school she attended (now the “Golda Meir Gifted and Talented School”). A locally-sponsored marker in Jefferson County credits Anne Pickett with founding the first dairy co-op in Wisconsin “in her log house kitchen”. State markers honor “world-renowned artist” Georgia O’Keefee, born 1887 “on the family farm” south of Sun Prairie, and Lorine Niedecker (1903-1970), whose poetry, ranked among the 20th century’s finest, “celebrated the sights and sounds” of her Black Hawk Island (Jefferson County) home. 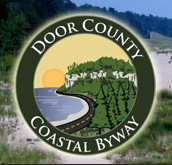 On a lonely stretch of Highway 80 in Juneau County, a barely-noticeable, weatherworn concrete tablet records the June 13, 1863 axe-handle murder of “Mrs. [Emma] Salter”, killed in front of her sleeping infant over keg of whiskey. The marker is placed at the gravesite of her murderers, Indian brothers, Jo and Jim Dandy, killed in revenge shortly afterwards by her husband. State markers honor Mabel Wanda Raimey (1898-1986), the first African-American woman attorney in Wisconsin and the first to graduate from the University of Wisconsin-Madison (1918); and the Mabel Tainter Memorial, an ornate Romanesque-style auditorium erected by grief-stricken parents to the memory of daughter Mabel Tainter, a lover of music and the arts, who died at 19. 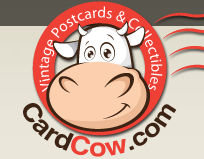 Unfortunately, space limitations require this article end here. However, throughout all of March, in honor of Women’s History Month, we will be posting regularly, on the Brown County Historical Society Facebook page, information on more markers honoring the Women of Wisconsin. Today marks the anniversary of the death of Old Abe, who died of smoke inhalation from a fire at the capital building where she was housed following her service with the Wisconsin 8th during the Civil War. Old Abe is Wisconsin's most famous female. In addition to her popularity while she was alive, her image was adopted as the eagle appearing on a globe in Case Corporation's logo, and she is the screaming eagle represented on the insignia of the U.S. Army's 101st Airborne Division. Her gender has remained pretty much unacknowledged (and initially outright hidden) for generations. It is ironic that the anniversary of her tragic demise occurs during Women's History Month. I have a dream of placing on the myriad markers that tell her story with the pronoun "he", a medallion correcting the error and giving her credit for her gender. Old Abe spreads her wings for a portrait.